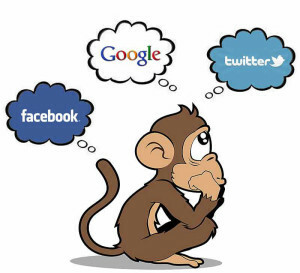 Welcome to Media Monkey Mind, where we make learning and maintaining Social Media easy. Where DO you Start Your Social Media campaign? Facebook? Twitter? Google+? Are you feeling confused or overwhelmed by all of the different ways to advertise or market within the social media network? Do you have time constraints on getting it done quickly and at a low cost? Do you just not have the time to learn how to put up a facebook business page and learn how to drive more people to your website for your services? We at Media Monkey Mind, make things simple, straightforward and can assist you quickly and for a low cost. We will assess where you are currently using internet statistics and how well you are being picked up by the search engines. We will set up a facebook business page, twitter account and website. We will help you optimize and maximize you marketing budget to bring in the most customers or clients using these social media tools. Find other great computer/web companies in Raleigh at computerrepairinraleigh.net. Don’t pull your hair out! Just review the rest of this website for some more details about each of these types of social media and then contact us if we can help you further. Speaking of pulling your hair out – we love these guys for our onsite Raleigh computer repair – particularly when it JUST can’t wait – call them when YOUR PC starts acting up! We are here to help you get started or to maximize what you already have. We can assist you and help you be able to maintain whichever tools you choose.